Is it a flower? Is it a herb? This purple wonder is both of these things, and more importantly, one of the favourite fragrances in the world from the time of ancient Egyptians and Romans. From embalming, anointing, and religious ceremonies to aromatherapy, healing and cooking, lavender had donned multiple roles across the ages. If a purple shade owes its name to this flower-herb, then this herb, a Mediterranean and African native, gets its modern name from Latin term “Lavare” – to wash (as in herbal baths). There are different types of Lavender which you will find in the products you use. English or Common Lavender flower (Lavandula angustifolia) is usually found in tinctures, beauty products, baked food and essential oils. 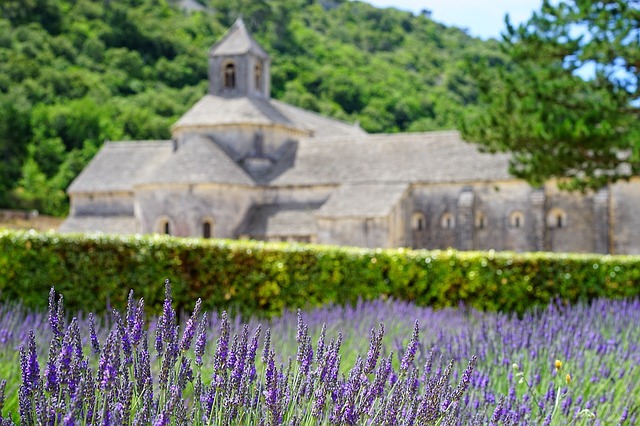 While lavender oil is the most used essential oil and is widely used in aromatherapy, French cuisine is incomplete without this culinary herb. You can make herbal teas, seasoning mixes and infusions with dried flowers. Many herbal scents and personal care products also contain lavender extracts. Lavender’s medicinal value comes from its antibacterial, antimicrobial, analgesic, and expectorant properties. The herb has been used in traditional and folk medicine as an antiseptic and relaxant. – Lavender can reduce migraine attacks and headaches. Traditional and alternative medicine advocate the use of lavender teas, diffusions, and topical applications of essential oil to relieve migraines and headaches in menopausal women. We created a recipe for lavender popsicles to make it a delicious remedy for migraines and headaches in summer! – Lavender oil provides relief from pre-menstrual symptoms. According to research studies conducted in Japan by Centre for Advanced Reproductive Endocrinology and Infertility, aromatherapy using lavender (Lavandula angustifolia) extracts can lessen premenstrual symptoms, particularly mood related signs like depression and stress, in women. – Lavender can help delay aging process. As this herb contains many antioxidants, it can remove free radicals from your body, strengthen immune system and even delay aging. – Lavender can protect against bacterial and viral infections. Lavender has antibacterial properties. Herbal teas made with dried flowers can protect from cough, colds, fever and viral infections. – Lavender has antiseptic properties. The herb’s ability to heal wounds, sunburns and burns has been confirmed by many scientific studies. Lavender aromatherapy is effective in reducing pain levels in children after tonsillitis treatment. – Lavender-based medication is useful for treating anxiety disorders. Results of this study confirmed that lavender-oil capsule reduced symptoms of restlessness, anxiety, depression, mood swings and insomnia in patients within two weeks of treatment. Lavender infusions, diffusions and massages have reduced stress and anxiety in chronically-ill patients and those suffering from dementia. – Lavender may help reduce dandruff. Lavender tea is used as a scalp rinse to provide relief from dandruff, as skull skin benefits from the herb’s anti-inflammatory and soothing properties. – Natural treatment for Type 2 diabetes includes lavender. Lavender is used in herbal and alternative forms of medicine to treat insulin resistance and diabetes. – Lavender can cure skin problems like acne, psoriasis and eczema – According to Journal of Medical Microbiology, a Spanish research study found anti-inflammatory and antifungal properties of lavender useful in combating skin disorders and infections. – Lavender can prevent hair loss. According to Natural Medicines Comprehensive Database, lavender has been effective in preventing further hair loss and stimulating hair growth in patients with alopecia areata, a condition in which you lose hair from specific areas or all parts of your body. As this flower-herb exhibits estrogenic (female hormone) characteristics, young boys should avoid the use of lavender-based products or essential oil. Lavender is a natural relaxant. Avoid using the herb when you’re taking sedatives, as this may increase drowsiness. Oral intake of lavender oil can be poisonous for pregnant women and anyone allergic to the mint species.